What was your inspiration for writing MARK OF THE THIEF? MARK OF THE THIEF started with two facts I stumbled upon. The first was that Emperor Julius Caesar used to claim he was a literal descendent of the Goddess Venus. He did this to make himself seem more powerful and invincible, but I began thinking, What if he was telling the truth? That would have made him a demigod, perhaps with some of their magic. The second fact was that ancient Roman boys used to wear a large golden amulet called a bulla, which was filled with gems in order to provide the boy good luck. So I thought, What if Caesar’s bulla was where he kept his magic? And what if that bulla became lost after Caesar’s death, only to be found nearly three hundred years later by a slave in the mines? 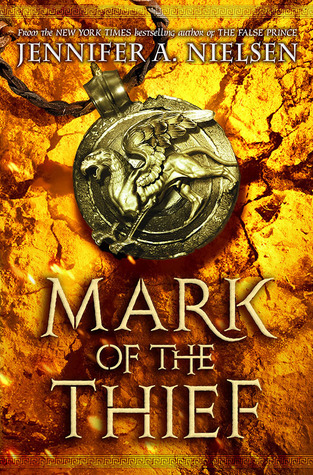 What do you hope readers will take away from MARK OF THE THIEF? What an interesting question! 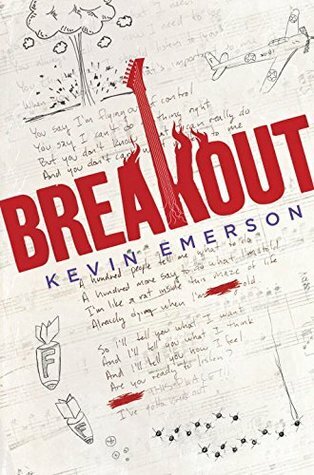 I would love for readers to understand that there is a price for freedom. Nic wants that more than anything, but it won’t come easily or without a cost. I also think there’s a message for readers that every individual matters. Even those who society might determine are the lowest of the low. I do most of my writing at home, but only because I’m lazy about going out! I enjoy editing to music, but the plotting and first draft needs to be in silence. That’s the time in which I really need to become absorbed in the story’s world. One thing I’ve learned in publication is to understand who your reader is. Readers who love a story will read themselves into the pages, as if they are going on the adventure in that character’s shoes. So once we understand our reader, then we write, not for who they are, but for who they want to be. Let them go on an adventure with a character they want to be more like. My goodness - it’s a crazy time! As I type this, I am in the middle of edits for MARK OF THE THIEF 2, outlining the third book in the series, doing proofs for A NIGHT DIVIDED, a Cold War era historical coming this August, and plotting for another standalone book for fall of 2016. Needless to say, I’m not sleeping a lot. But I am having a great time! 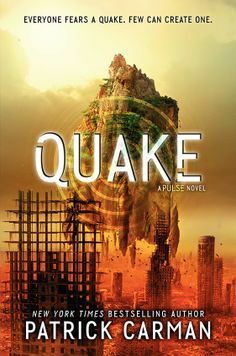 What was your inspiration for writing QUAKE? The PULSE series is a direct response to three stories I loved growing up: Star Wars, Spiderman, and Lord of the Rings. All three of those stories helped inspire PULSE, TREMOR, and QUAKE. The Force (from Star Wars) finds it's way into my story as the Pulse - the power to move things with your mind. Faith Daniels in particular deals with the primary lesson of Spiderman: with great power comes great responsibility. And the way a perilous journey changes characters is definitely from Lord of the Rings. Bilbo Baggins changes in many profound ways by the time he unloads that ring of power. 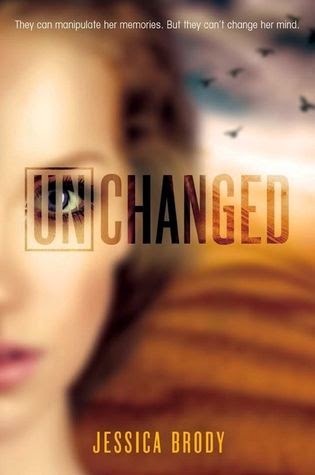 Faith Daniels has a similar transformation in the PULSE series. What do you hope readers will take away from QUAKE? This trilogy is so much about transformation, so what I'm hoping readers get is that personal change is hard, but ultimately it's worth it. Faith, Dylan, and Hawk all have a lot of character work to do when the series begins. By the end, they've figured out what's holding them back and causing them pain. The journey they are on - not unlike the journey each of us is on - has the power to change them (and us) for the better. Trilogies are hard! I never think I'm going to end up a thousand pages into a story when I start. I just think about how excited I am to tell a story. It's a long and arduous commitment to write a big, sweeping story over three books. I learned during the process there are going to be great days and lousy days. Sometimes it's just a lot of work and I have to stay with it. Other days, it's a pure joy. So I guess the big thing I keep learning as I go is that if I push through the hard days, I will eventually make it to the end. Perseverance baby! What was your inspiration for writing THE THIRD TWIN? When I was a kid, we had a family story about two identical twin cousins who made up a triplet in college to date boys that they wouldn't date as themselves. I took that basic story and threw in a murder mystery to make it an actual book. There was one scene that was a surprise to me as I was writing it - I had no idea that this particular thing was going to happen to this particular character, but in the end I knew it was the right thing to do. I had to finish writing the scene through tears and even my editor was surprised. I hope readers like it as much as I do. How long did you work on THE THIRD TWIN? When I finally sit down to actually write a story, I give myself a minimum word count a day - usually 1,000 words a day. THE THIRD TWIN is about 90k words, so it took about three months to actually write the draft - I write very chronologically, from front to back. Then of course, it's nowhere near done. There are probably three or four drafts before I'm ready to show it to my editor. 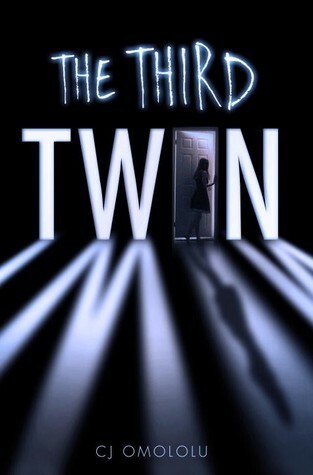 What do you hope readers will take away from THE THIRD TWIN? First off, I hope they enjoy it. That's why I read - to step into someone's life for a few hours. I hope they're surprised at the twists and turns the story takes - it really wrote itself. I just dictated. Listen to your story and don't try to make it something it's not. I often find that if a story isn't working its because I'm trying to force it to be one thing. Once I listen to the characters and let them do their thing, the story usually picks right up and I'm able to continue. When they were little, Lexi and her identical twin, Ava, made up a third sister, Alicia. If something broke? Alicia did it. Cookies got eaten? Alicia’s guilty. Alicia was always to blame for everything. The game is all grown up now that the girls are seniors. They use Alicia as their cover to go out with boys who are hot but not exactly dating material. Boys they’d never, ever be with in real life. Now one of the guys Alicia went out with has turned up dead, and Lexi wants to stop the game for good. As coincidences start piling up, Ava insists that if they follow the rules for being Alicia, everything will be fine. But when another boy is killed, the DNA evidence and surveillance photos point to only one suspect—Alicia. The girl who doesn’t exist. 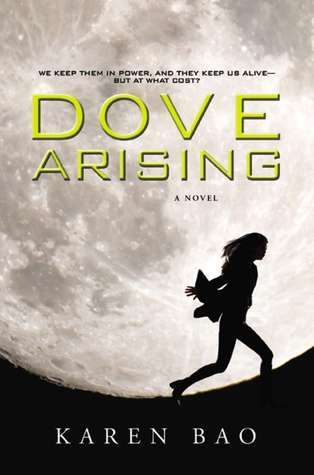 As she runs from the cops, Lexi has to find the truth before another boy is murdered. Because either Ava is a killer . . . or Alicia is real. C. J. OMOLOLU majored in English at U.C. Santa Barbara because she liked to read, not because she liked to write. She later discovered that the voices in her head often have interesting things to say. You can find out more about her on her website. 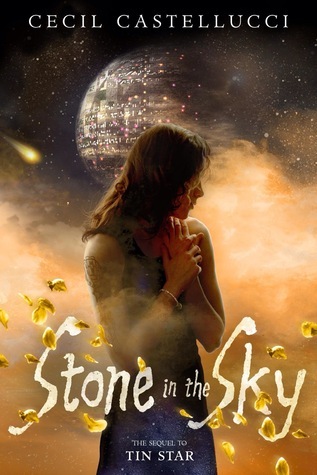 What was your inspiration for writing STONE IN THE SKY? STONE IN THE SKY is the sequel to TIN STAR which was very loosely inspired by the film Casablanca. For Stone, I wanted it to have a western kind of True grit / gold rush of 1849 feel. So look to any western. A really hard scene for me to write I can't really talk about it, because it's a spoiler. But it basically really shows you how horrible Brother Blue is. I think when you are writing about the results of someone's evil, it's hard to write. That darkness does not sit well with me, but as writers we must push through the darkness to get back to the light. I also wrote a scene that takes place during a spacewalk. I actually got to interview astronaut Rick Mastracchio, who is a space walking expert, about what that's like. That was pretty cool, to get little details from a person who has actually walked in space. I would say to check out John Christopher's The Tripod Trilogy. That has always been a touchstone for me. And the aliens in there are very alien, even if it's an earth based story. I would also say that Deep Space Nine or Babylon Five are probably good watch alikes. What do you hope readers will take away from STONE IN THE SKY? 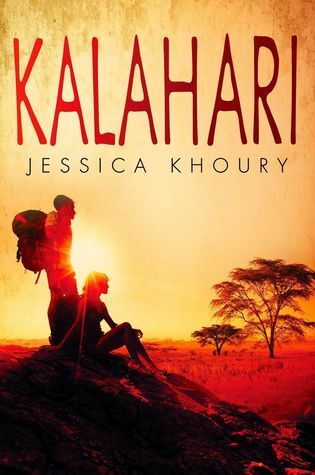 I wanted it to be the story about a girl who sheds her humanity in order to survive and then rediscovers it. So I hope that a reader thinks about what it means to be human. I always say that it's about a ten year waiting list to be an artist of any kind. You have to get in line, do your work, and do more work. For me, it took about 7 years from the time I got serious about writing before I sold my first book. 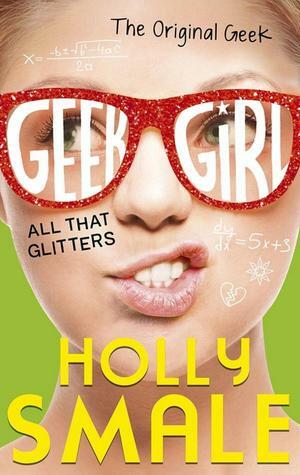 That book was BOY PROOF, it's about a girl who is obsessed with a post apocalyptic film and dresses as the main character to go to school every day and how that affects her relationships when a new kid comes to school. I wrote three full books before I sold that one. And it came out two years after I sold it. So, almost 10 years. I say, just keep writing and putting stuff out there. It's a marathon. It's a long road. And once you do get published, there are more roads to keep walking on. I make a play list for every book that I write. It's a bunch of songs that jump me straight into the vibe and emotional tone of the novel. Here is the one I had for TIN STAR http://www.largeheartedboy.com/blog/archive/2014/02/book_notes_ceci_2.html I work at home and at coffee shops depending on where I am at in the process. Sometimes I need to hole up in my house like a mad woman. Become a troll, emerge a fairy. Don't be afraid of making your work better by listening to good notes. Anything that you have to cut you can always put in another project. Nothing is ever wasted. I am currently working on a draft of a middle grade novel. We'll see! It's my first! Always experimenting, that's my motto. What was your inspiration for writing SALT & STONE? The Pandoras were my inspiration for this sequel. I wanted to give them ample opportunity to show just how able they are in assisting their Contenders. Until now, it's mostly been the Contenders who were challenged. In SALT & STONE, the Pandoras have to step up in a big way. Know what your character's objective is, and make it crystal clear to readers within the first 30 pages. Keep that objective consistent, and remind readers of the goal a handful of times during the book. 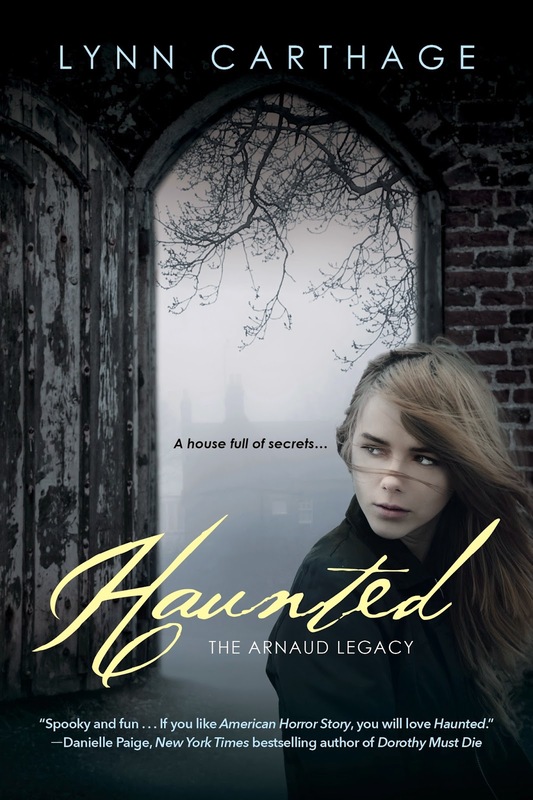 This keeps readers turning pages to find out whether the character ultimately succeeds. I'm working on a stand-alone YA thriller called TITANS. 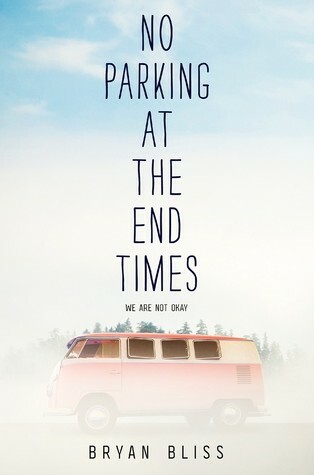 It's about a teen girl who rides a steel, mechanical horse in a Detroit derby to win prize money to save her family's home, and keep her best friend close. The races take place at midnight in the woods, and are attended by rowdy men who place bets on the robotic horses. TITANS releases spring 2016 from Scholastic. What would you do to save someone you love? In Fire & Flood, Tella Holloway faced a dangerous trek through the jungle and across the desert, all to remain a Contender in the Brimstone Bleed for a chance at obtaining the Cure for her brother. She can't quit--she has to win the race, save Cody, and then fight to make sure the race stops before it can claim any more lives. In the next legs of the race, across the ocean and over mountains, Tella will face frostbite, sharks, avalanche, and twisted new rules in the race. But what if the danger is deeper than that? How do you know who to trust when everyone's keeping secrets? What do you do when the person you'd relied on most suddenly isn't there for support? How do you weigh one life against another? The race is coming to an end, and Tella is running out of time, resources, and strength. At the start of the race there were one hundred twenty-two Contenders. 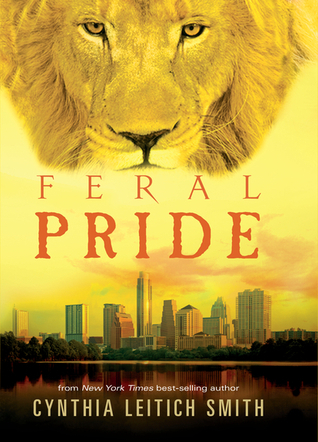 As Tella and her remaining friends start the final part of the race, just forty-one are left--and only one can win. 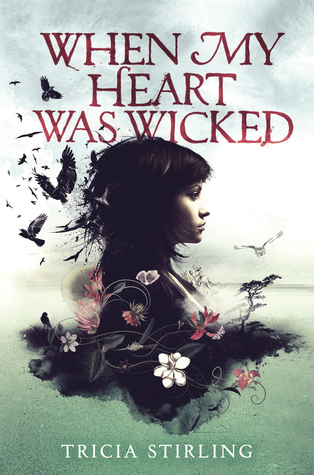 Victoria Scott is a teen fiction writer represented by Sara Crowe of the Harvey-Klinger Literary Agency. 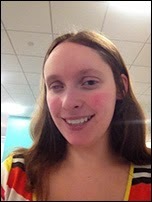 She’s the author of the FIRE & FLOOD series published by Scholastic, and the DANTE WALKER trilogy published by Entangled Teen. Her first stand-alone young adult title, TITANS, will be published by Scholastic in spring 2016. Victoria’s books have been bought and translated in eleven foreign markets including the UK, Turkey, China, Poland, Israel, Germany, Australia, Brazil, Taiwan, New Zealand, and the Netherlands. She currently lives in Dallas, and hearts cotton candy something fierce. What was your inspiration for writing REMEMBER? 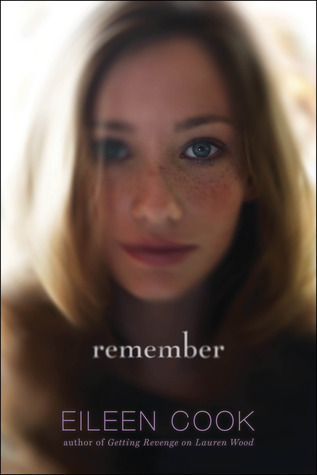 How long did you work on REMEMBER? It takes me about a year to write a book, that includes time spent thinking about the idea before I even start writing. I find I work best when I give myself a chance to let a book sit for a period of time. When I do that the ideas really start to come. I’m lucky in that I enjoy the actual writing process. I don’t have difficulty making myself sit down and get words on the page- for me that’s the fun part. It’s the idea formulation and revisions that can give me headaches. I had confessed to a writing mentor that I was nervous about sending my work out and the rejection I knew would come. She told me “Eileen, you already aren’t published. The worst thing that will happen is that you still won’t be published.” That’s when I got it- rejection isn’t fun, but it’s not life or death either. I realized I could survive hearing No, or someone telling me I was no good. What I couldn’t survive is knowing that I never took the chance. Read. Read a lot. Books are the best teachers. If it is a book you like take it apart. Look at how the author told the story, whose point of view? What scenes did she include? Who are in those scenes? How does the story unfold? Writers are making choices all the time- you can learn from how they chose to tell the story what kind of options you might have to tell yours. 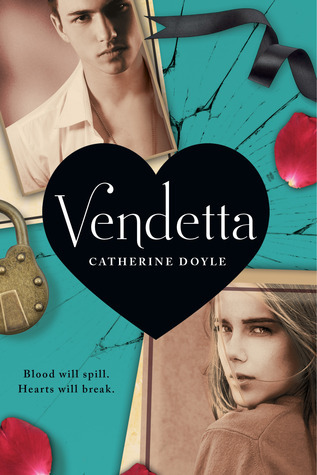 I am working on a new mystery that involves friendship, lies, some betrayal and Italy! Eileen Cook is a multi-published author with her novels appearing in eight different languages. Her books have been optioned for film and TV. She spent most of her teen years wishing she were someone else or somewhere else, which is great training for a writer. Her latest release, YEAR OF MISTAKEN DISCOVERIES came out in February 2014. You can read more about Eileen, her books, and the things that strike her as funny at www.eileencook.com. Eileen lives in Vancouver with her husband and one very naughty dog and no longer wishes to be anyone or anywhere else. What was your inspiration for writing ZOM-B BRIDE? I’ve been influenced by all sorts of books, and although my work tends to get sold under the horror banner, it’s a real mix of genres. Some of my recommendations, which I hope would appeal to fans of Zom-B, would include The Chocolate War by Robert Cormier, The Turbulent Term Of Tyke Tyler by Gene Kemp, The Stand by Stephen King, Bless The Beasts And Children by Glendon Swartout. How long did you work on ZOM-B BRIDE? I spent about three years at work on it, the same as I did on every other book in the series – but I juggled them around and worked on them at the same time, which is why I was able to release them so quickly. 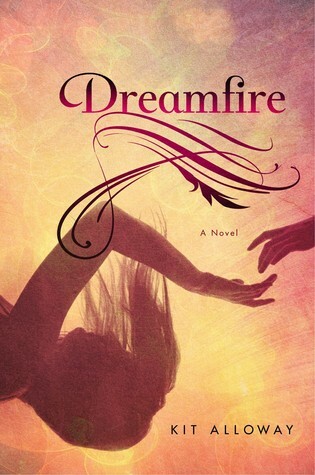 It taught me that I’d never make a living as an author of romance novels! What do you hope readers will take away from ZOM-B BRIDE? 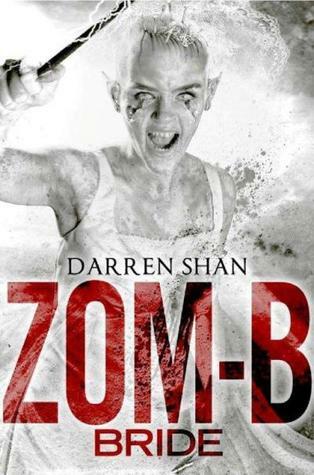 Darren Shan is the pen name of the Irish author Darren O'Shaughnessy, as well as the name of the protagonist of his book series The Saga of Darren Shan, also known as The Cirque Du Freak Series in the United States. 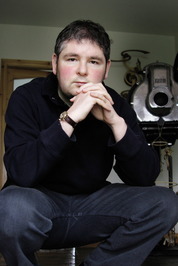 He is the author of The Demonata series, as well as some stand-alone books, and a series of books for adults under the alternative name of D.B. Shan. Welcome to our monthly Ask a Pub Pro feature where a publishing professional answers readers and writers' questions regarding the stories they love or their work in progress. This month, Stephanie Diaz, author of the Extraction series, joins us to answer questions on chapter breaks and unusual time periods. My question about the book concerns chapters. My YA fantasy novel is divided into four more or less equal parts, each having its individual title, but there are no chapter breaks within the parts. How important are chapters in this particular genre and for this audience? Should I attempt to introduce them within the book even though I can't decide where to end one chapter and to start the next one or can I leave it like that? Chapters are helpful to readers because they allow for pauses in the book, places where the reader can take a breath or step away and easily come back. YA fantasies tend to be on the longer side, so not including chapters could make it hard for readers to get through the book. You don't necessarily need to have a new chapter every ten pages or even twenty, but I would recommend working some scene breaks into your novel, aside from the four parts. Look for the spots where scenes have a natural ending. 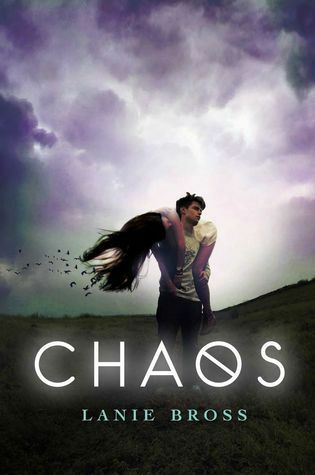 Check out some YA fantasies to get an idea of what scene breaks should read like, if you're unsure. 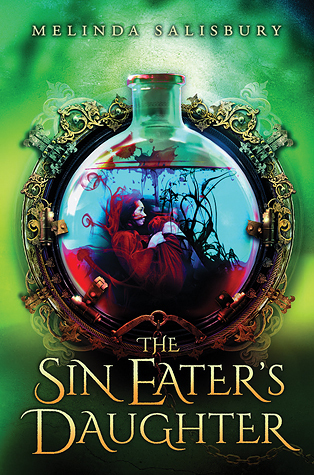 The Shadow and Bone series by Leigh Bardugo has some great examples. I'm writing an historical in a very unusual time period and am not sure it will be marketable. Is there any way to sort of test the market to find out if agents/editors/readers would even consider this time and setting? There isn't any way to test the market other than to query your work once it's finished and see what agents have to say. However, I would highly recommend finding critique partners to share your idea with and read your manuscript before you start shopping it, so you can get a sense of whether it will appeal to readers. There are also some really wonderful agents and editors who occasionally have #AskAgent and #AskEditor Q&As on Twitter. Keep an eye on those hashtags, and you may be able to get an answer by running the time and setting of your book by someone in the industry. 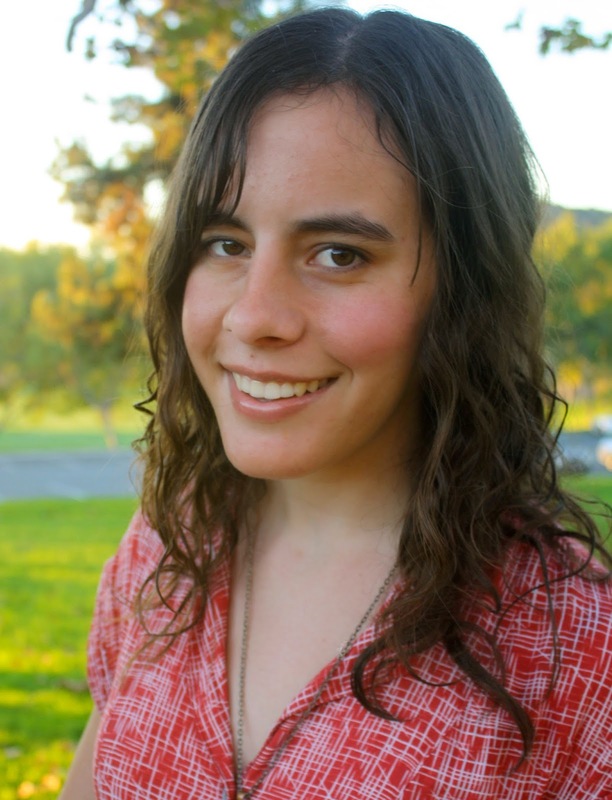 Twenty-two-year-old Stephanie Diaz wrote her first novel, Extraction, while studying film at San Diego State University. 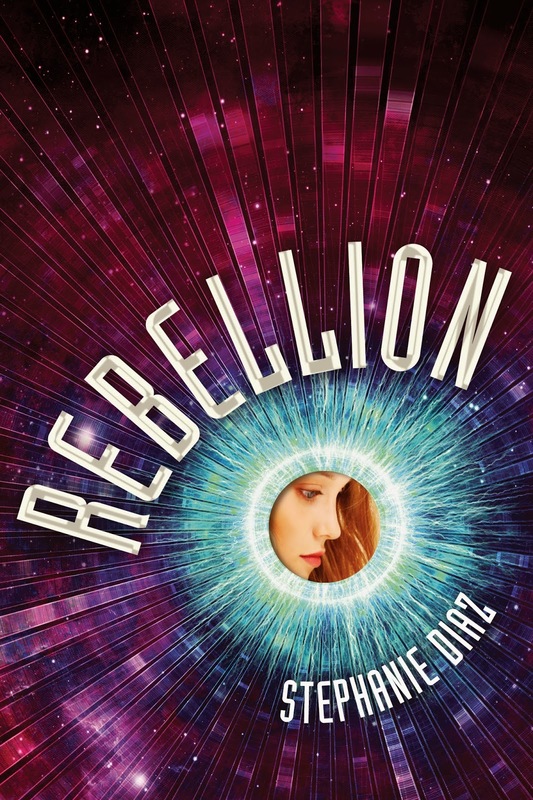 She is also the author of Rebellion and the forthcoming Evolution. When she isn't lost in books, she can be found singing, marveling at the night sky, or fangirling over TV shows. 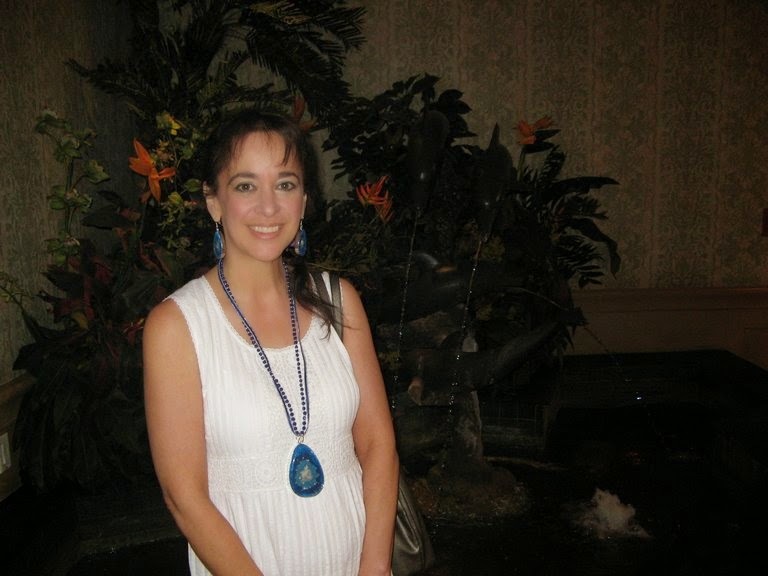 Visit her website at www.stephaniediazbooks.com and follow her on twitter at @StephanieEDiaz. The uprising has begun. It's been seven days since Clementine and Logan, along with their allies, retreated into hiding on the Surface. The rebels may have won one battle against Commander Charlie, but the fight is far from finished. He has vowed to find a way to win—no matter the cost. Do the rebels have what it takes to defeat him and put an end to this war? As Clementine and Logan enter a desperate race against time to defeat Commander Charlie—and attempt to weaken his power within his own ranks--they find themselves in a terrifying endgame that pits them against a brutal enemy, and each other. With every step, Clementine draws closer to losing Logan...and losing control of herself. You've ALL been amazing and we hope you've learned from the feedback the process provided. But here are the top 25 titles you've been waiting for! Congrats. If you find yours below you should revise and get your pitch and first page back ASAP! You have until February 27th at 3PM EASTERN. Then I will begin posting the pitch and first pages for each of you. If you choose not to revise, I will post the same entry as last time with a new random number. We have NINE amazing giveaways for you this week! Which one are you most excited to win? 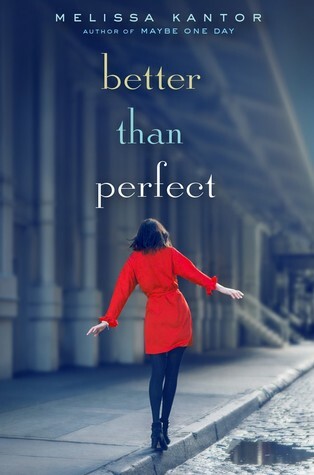 Author Question: What is your favorite thing about Better Than Perfect? My favorite thing about Better Than Perfect is that the narrator is far (very far) from perfect. She makes a number of stupid decisions and dumb mistakes. These mistakes are painful (for her and for people around her), but they're part of a major change in how she sees the world, and in the end, she's better for having made them. I don't think I would have had the courage to do some of the things she does, and I enjoyed living vicariously through her. 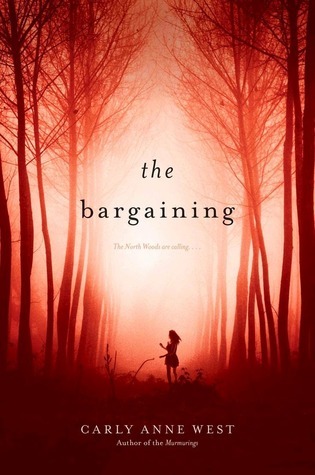 Author Question: What is your favorite thing about The Bargaining? 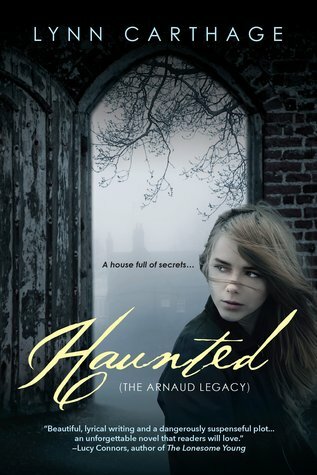 For this novel, I tried very hard to create a contemporary novel set in horror. I actually always try to do that, as literary horror is without question one of my favorite genres. In THE BARGAINING, I wanted to layer Penny's emotional journey in with the frightening setting in which she finds herself for the summer. I felt that her struggle was inextricably linked to the struggles faced by the inhabitants of Point Finney and the North Woods, which means at times, we don't know if Penny is manufacturing the evil, or if the evil really exists. It makes for a novel that's difficult to call horror or contemporary or gothic or psychological thriller, but I'm comfortable with that discomfort. I hope readers are, too. 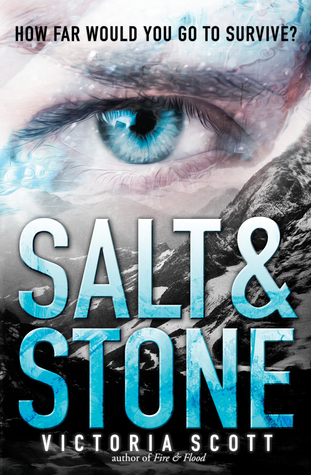 Author Question: What is your favorite thing about Salt & Stone? My favorite thing about SALT & STONE is how much Tella changes during this book in comparison to the first, FIRE & FLOOD. Tella is a girly-girl, and isn't cut out to compete in a dangerous race, and though she digs deep into herself in the first book in order to persevere for her brother, in SALT & STONE, Tella becomes brave, confident, and a leader. It's a gradual transition over two books, but I intended it to be that way. Because she started as a normal, everyday teen living in Boston, and we wouldn't expect a character that's never been exposed to life or death situations to not initially show fear and hesitation. But we could also assume that later, she could grow into someone almost unrecognizable. Robert “Smiles” Smylie is not a genius. He feels like he’s surrounded by them, though, from his software mogul dad to his brainy girlfriend to his oddball neighbor Ben, a math prodigy. When Ben cracks an ancient, real-life riddle central to modern data encryption systems, he suddenly holds the power to unlock every electronic secret in the world—and Smiles finally has a chance to prove his own worth. Smiles hatches a plan to protect Ben from the government agents who will stop at nothing to get their hands on his discovery. 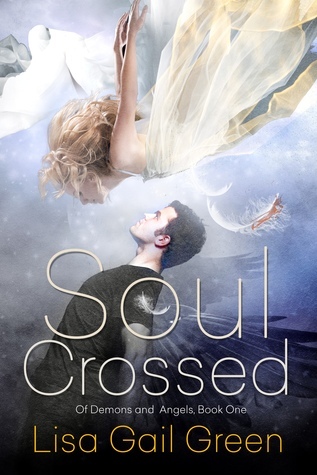 But as he races from a Connecticut casino to the streets of Boston, enlisting the help of an alluring girl, Smiles comes to realize the most explosive secrets don’t lie between the covers of Ben’s notebook—they’re buried in his own past. Author Question: What is your favorite thing about The Cipher? 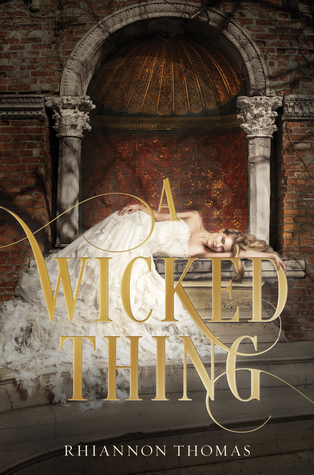 This is a tough one because there are so many aspects of this book that I love, if I do say so myself. One, I love that it feels so current right now. Back when I started writing this book (like, eons ago), writing a novel that touched on NSA surveillance seemed . . . well, a little esoteric. Then a guy named Edward Snowden hit the news, and suddenly the NSA, computer encryption, and electronic eavesdropping became front page news for an entire year. Now, just as The Cipher is coming out, another code-breaking story--the movie The Imitation Game--is in theaters and was just up for 8 Oscar awards. And a documentary about Edward Snowden (Citizen Four) is still around as well. So, with all this stuff going on in the news, I hope readers have worked up an appetite for a fun code-breaking story. Second, I really enjoyed writing from multiple perspectives. 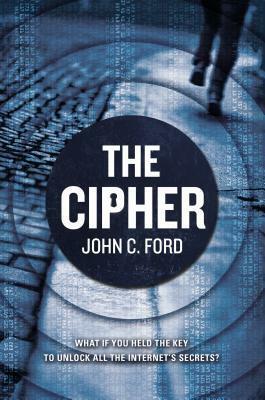 In The Cipher, certain chapters come from the point of view of the main character, Smiles, and others are told from the point of view of his on-and-off girlfriend, Melanie. After writing a book in the first person from a single perspective (The Morgue and Me), the different approach of The Cipher was a fun experiment that I think worked well. And three, the cover! It's pretty sweet guys. Abigail's parents never should have made that first donation to that end-of-times preacher. Or the next, or the next. They shouldn't have sold their house. Or packed Abigail and her twin brother, Aaron, into their old van to drive across the country to San Francisco, to be there for the "end of the world." Because now they're living in their van. And Aaron is full of anger, disappearing to who-knows-where every night. Their family is falling apart. All Abigail wants is to hold them together, to get them back to the place where things were right. But maybe it's too big a task for one teenage girl. Bryan Bliss's thoughtful debut novel is about losing everything—and about what you will do for the people you love.